Do You Have a Plan ? There is no way to soften the statement that correctional facilities can be a haven for infectious disease. A wide variety of diseases can affect not only inmates themselves, but the thousands of employees, visitors and volunteers that come into contact with prisoners each year at the typical institution. While it is well understood that the majority of prison professionals and the jails and prisons themselves are diligent in efforts to manage the spread of disease, it remains a very real threat to the men and women who go to work in correctional facilities each day. The bottom line is that it is extremely difficult to effectively manage the spread of disease and simple sickness among a prison population that lives in extremely close quarters. 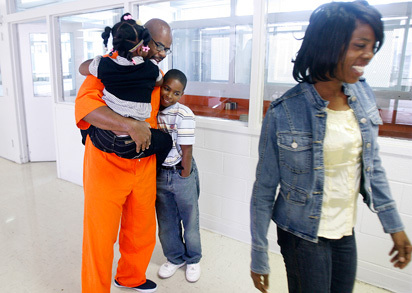 Clearly, institutions have a responsibility to protect both prisoners and employees, but that responsibility also extends to the volunteers, clergy and family members - including small children - that enter the typical jail or prison each day. Dependent on the institution, all of these people are likely to come into some form of physical contact with inmates. These individuals then leave the prison, return to the community and are capable of spreading both serious and simpler diseases to their families and community as a whole. As such, it is vital that institutions offer proper, easy and efficient ways for employees and visitors to sterilize themselves, especially if they come into unexpected, close contact with a sick or infected prisoner. Communal visiting rooms, where dozens of family members and prisoners may gather in the same small room, is a smart place to store and offer any of the variety of kits that we sell at PPEKits.com. While we offer a number of kits complete with an array of items, PPEKits.com offers every correctional facility the opportunity to completely customize the items found in each pack. This allows the facility to customize different packs for different purposes. For example, the prison or jail pack for the visitors room may include simple sanitizers and disinfectants, while the pack for employees on the block may include not only sanitizers and disinfectants, but also CPR protection gear, facemasks and eye shields. Again, each of our packs are completely customizable when you purchase here on our online storefront. Copyright © 2014-2017 PPEKits.com, A division of DirectGovSource. All rights reserved. Design by Flying Orange.